Hurry!!! Get your kit today before they are all gone! Much of my work has evolved from a unique process of lifting rust, carbon and markings from charred surfaces (mainly bakeware). The work explores layered and diverse meanings incorporated in everyday, overlooked objects one would find in the home. The work has moved into the realm of installation incorporating numerous domestic items, primarily items used in the ritual of preparing and serving food. Objects (pans, pot lids, napkins, etc.) and materials (rust, carbon) used are so common they become symbols in a universal language. Photography has become a part of the work in the form of manipulated (sometimes layered) Xeroxed images. Participation in the work involves not just the visual, but sound, smell, taste and touch. The viewer is invited to look more closely at that which is and has been experienced on a daily basis. Objects and images take on multiple, often contradictory, meanings leading to diverse interpretations. I am truly in awe of her work and I might have to try more image transfers! I love the distressed and artistic look they give to the surfaces. Tricia McKellar's work is truly another favorite that I have found... 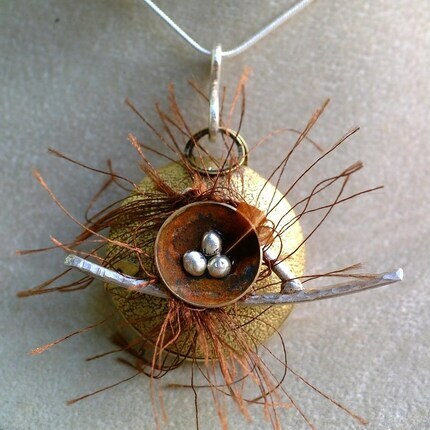 If you know me at all, you know that my work has featured alot of bird, nest, and motherhood symbolism. I am fascinated with all bird references right now. So, this artist caught my attention right away. 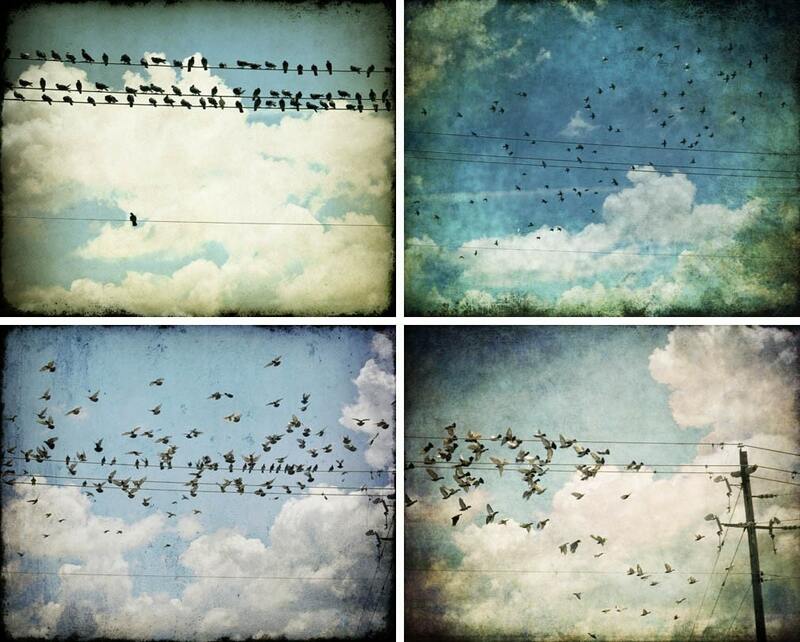 Her bird series is specatular! 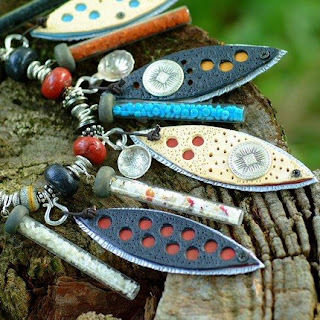 I am awed by the quality of her images and the colors she creates! I also love her other work with machinery drawings and nature combined. It is truly worth the time to look! She has an Etsy shop too with her work.. just go to her site and click on an artwork and it will take you there! Browsing Etsy, I found a shop that has gone green with jewelry... Beadkeepers. I hope you enjoyed the art today! Don't forget to post on Thursday's thread for a chance at a RAK! If you were a winner in the last 3 tutorials, please email me!!! I want to get your prizes out by Friday or they will go back in the pot for future RAKs! Those LO's are amazing. I agree, those Bad Girls Kits are always a garantuee for stunning LO's it seems. I'm so saving up to buy me one some day soon! OMG>.. i'm sitting here with my mouth open. Your talent is just amazing!! Congrats on the 2 peas pubster of the day. Really like your butterfly mobile, that is the cutest thing.